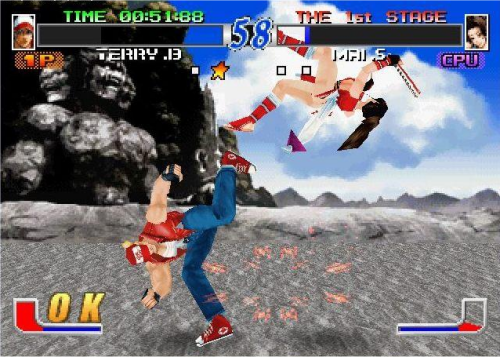 REVIEW: In January 1999, SNK's iconic Fatal Fury series made the bold jump from 2D to 3D on SNK's Hyper Neo Geo 64 system board (and was also one of the last games released on it). 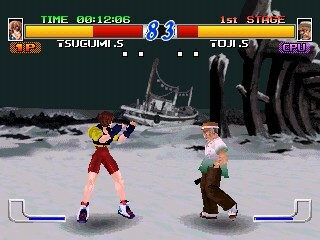 The game was later was ported to the PlayStation in June 1999 (Japan) and December 1999 (North America). 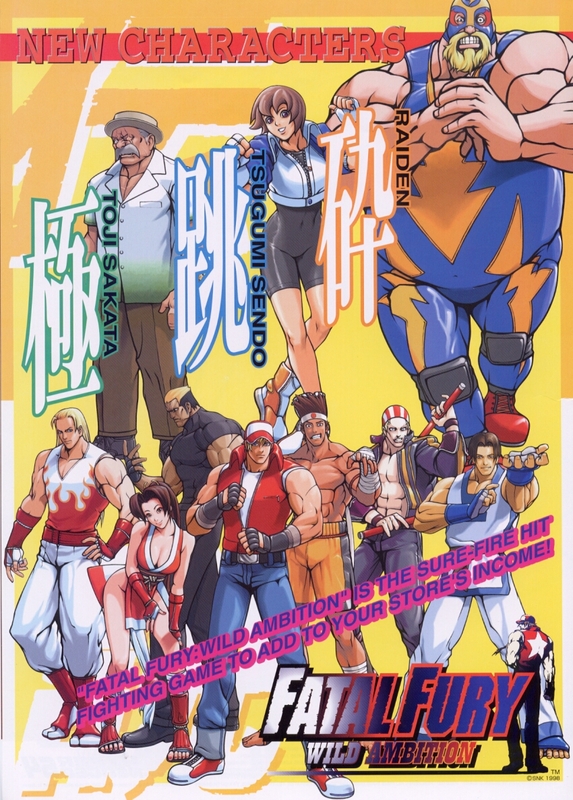 This installment is a retelling of the story in the original Fatal Fury game, featuring many recognizable classics as well as some new faces to the series. 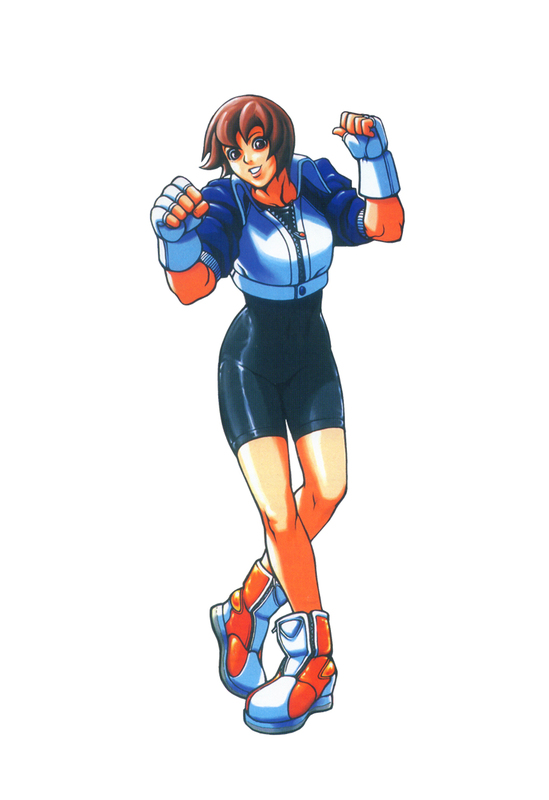 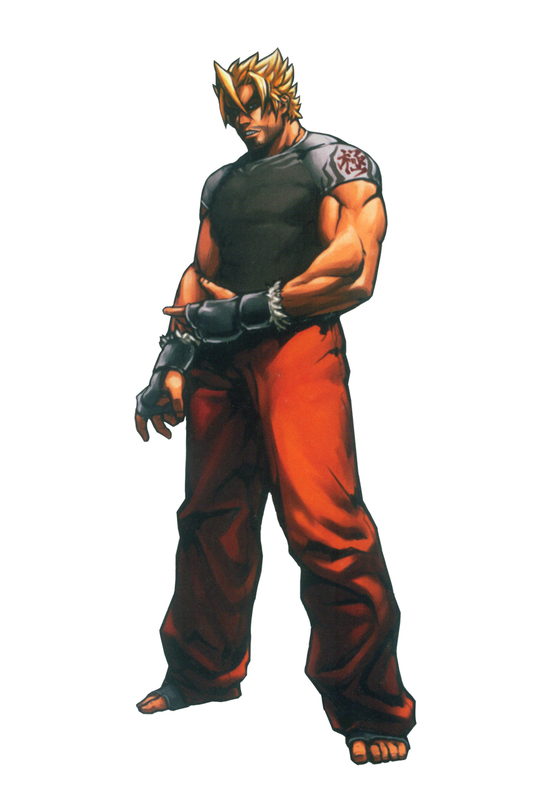 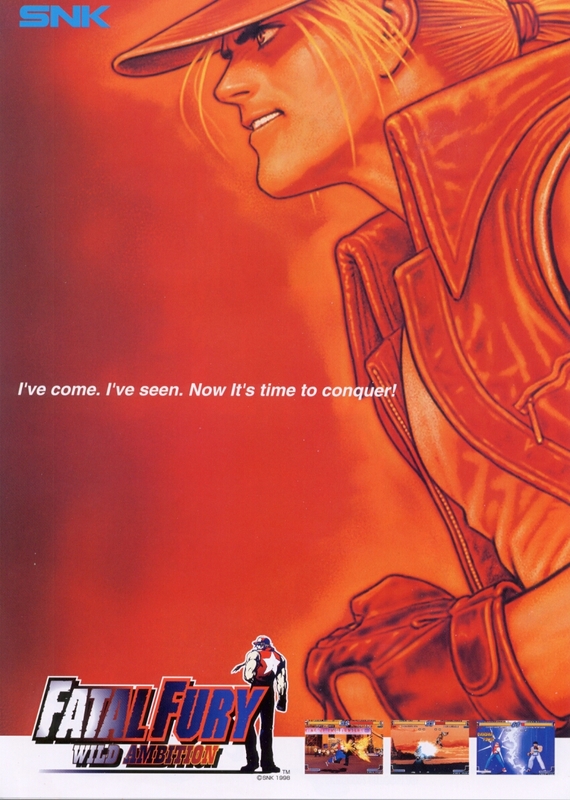 Wild Ambition's presentation was on par with other recent fighting game releases in 1999, featuring a pretty sweet intro (at the time) and slick character artwork. 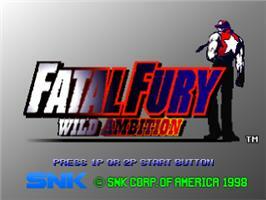 Unfortunately, the actual gameplay and graphics didn't end up complimenting the presentation or the artwork. 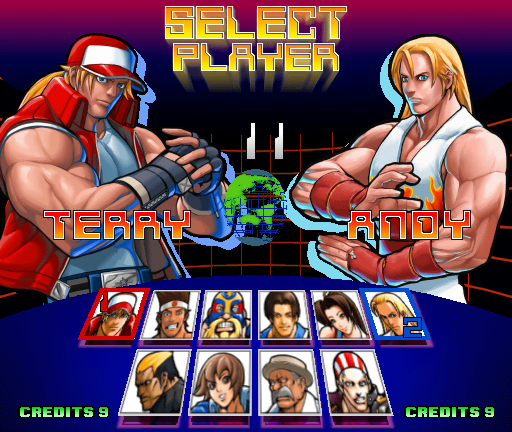 Holy S*** ...Terry's got some big arms. 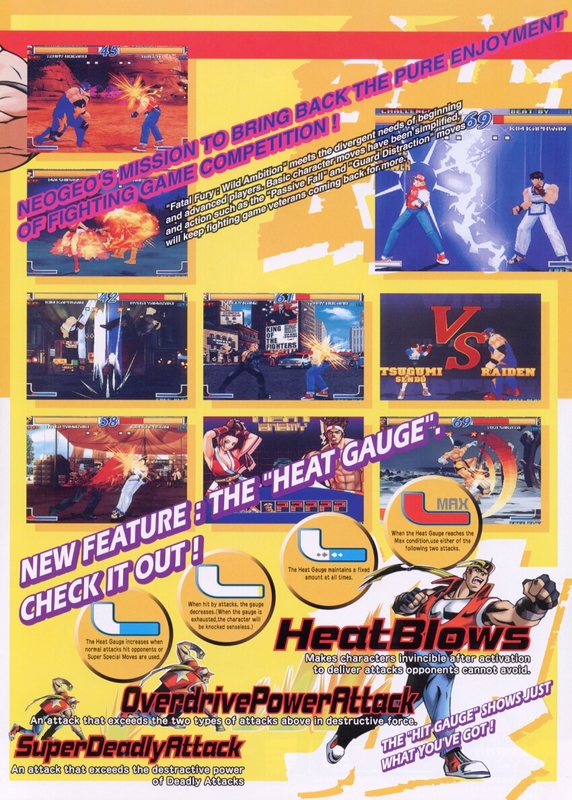 Graphically, this game is bad news. 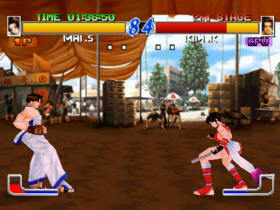 The 3D rendered characters are sickeningly blocky and animate equally as stiff. 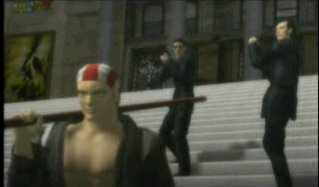 Character models also aren't "light sourced" at all, and were prone to polygonal glitching. 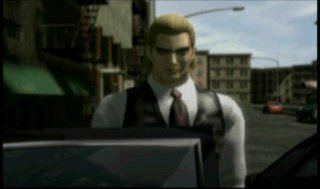 The backgrounds are nothing but low-quality 2D images, pasted behind a flat square with awful textures (that's supposed to be a floor?). 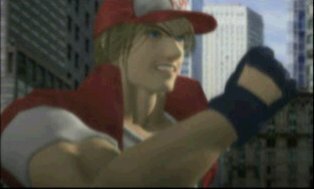 Lastly, the character endings actually use the horrible in-game graphics, giving you a disturbingly close look at how bad the character models are. 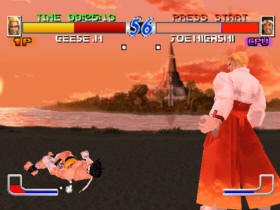 Compare these shoddy endings with Street Fighter EX's endings (almost 3 years old), and it's even more embarrassing. 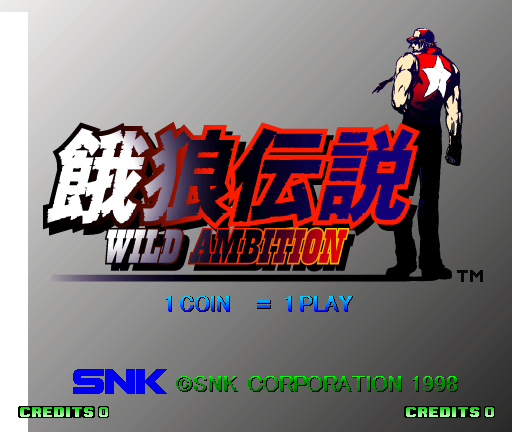 Unsurprisingly, the gameplay of Wild Ambition is nearly just as bad as the graphics. 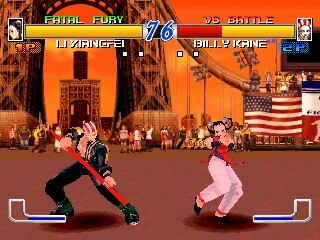 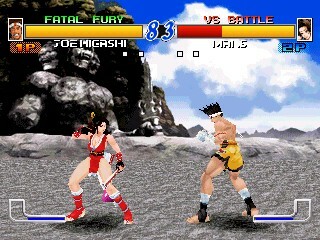 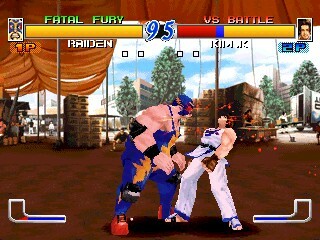 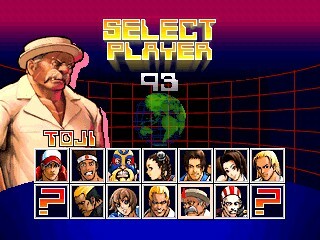 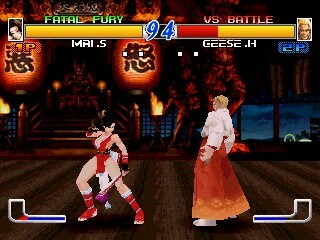 Like in previous Fatal Fury games, characters can "roll" in and out of the background to dodge attacks. 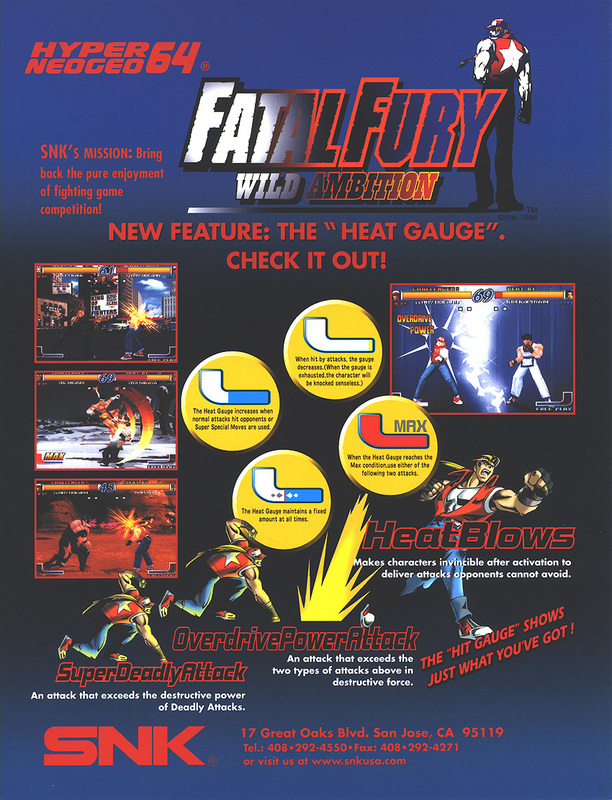 The new Heat Gauge replaces the Power Meter system from Real Bout Fatal Fury 2. 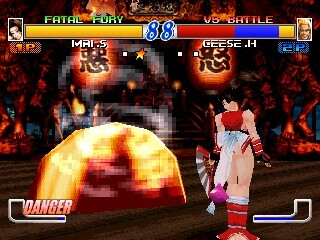 Players can fill the Heat Gauge by attacking (or taunting), but if they take damage the meter will decrease. 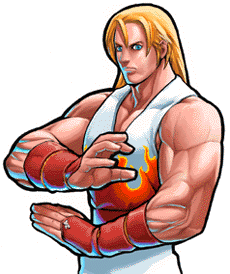 Like in previous games, the Heat Meter enables more damaging attacks, and of course your character can perform a super move. 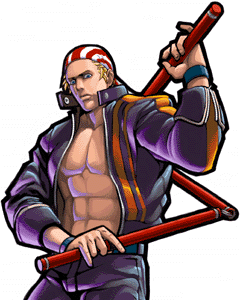 The Heat Gauge can also be "overheated" if a player takes too much damage or performs too many counterattacks, rendering them dizzy and vulnerable to their opponent's attack. 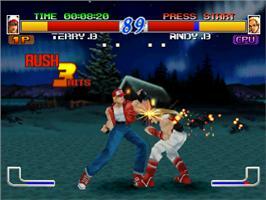 Wild Ambition also introduces the Guard Impact technique, allowing the defending player to take no damage when they attack and push the opponent away slightly if they perfectly time a block. 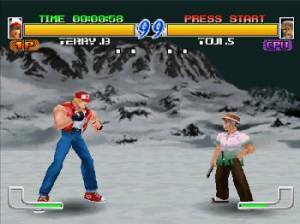 At the end of the day, Fatal Fury: Wild Ambition's gameplay just feels sluggish overall, and clearly, everything just looked and felt better in the previous 2D games. 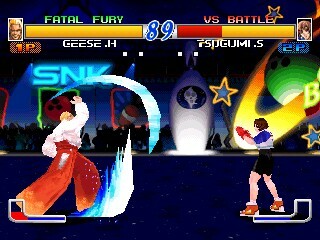 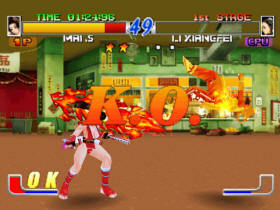 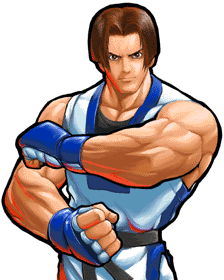 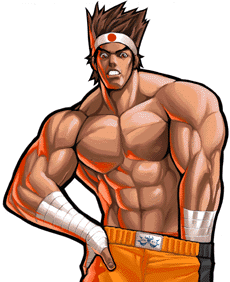 While the 3D animation presents many recognizable attacks from the Fatal Fury icons, the animations are beyond clunky. 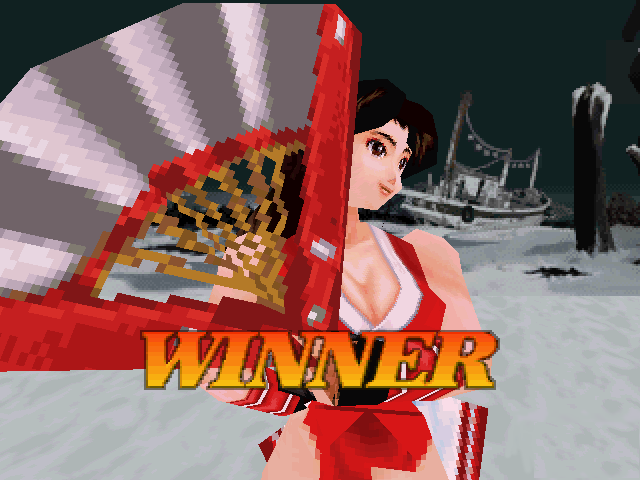 While some moves look alright (at their very best), others just look sloppy and "slow" in 3D (which negatively effects the gameplay, too). 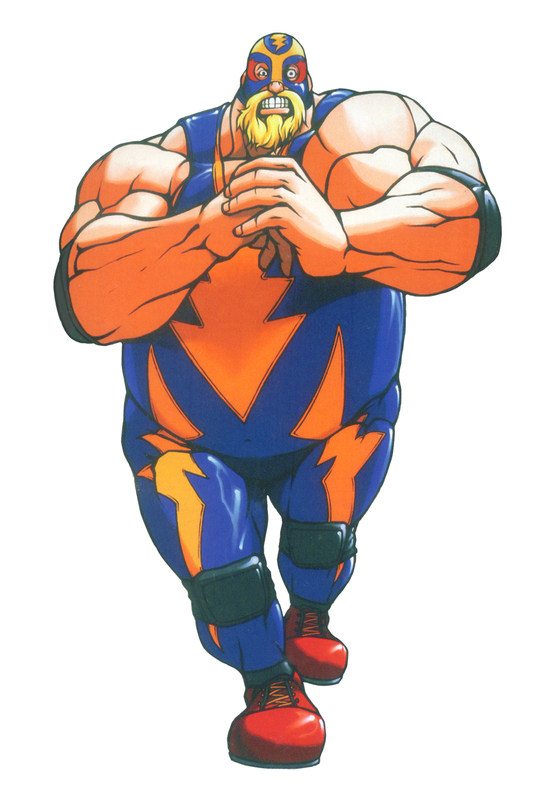 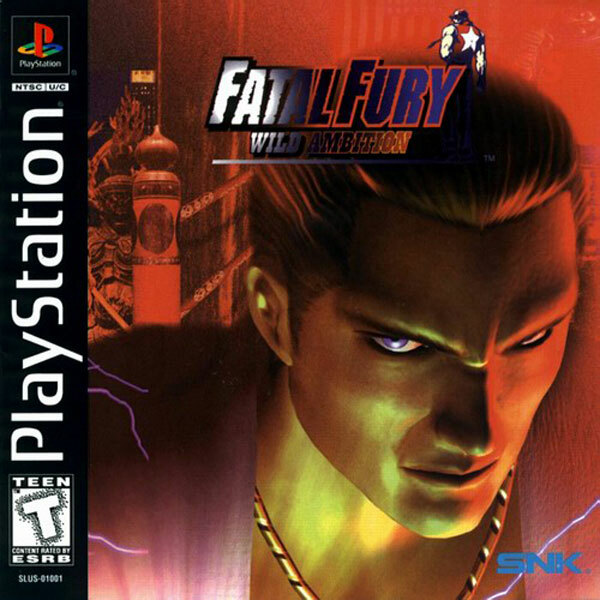 SNK was ambitious with this 3D reboot of Fatal Fury (or at least they were just trying to match Capcom's SFEX series), but Wild Ambition was easily one of the most dull and clunky fighting games of the era. 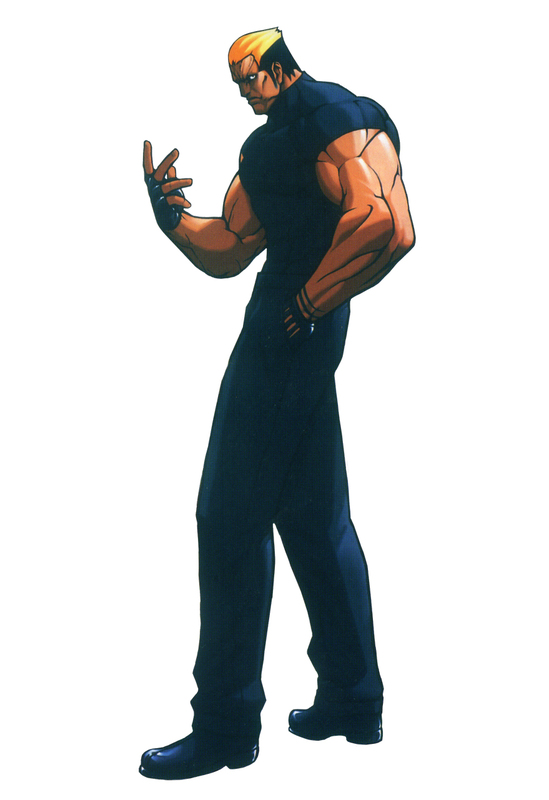 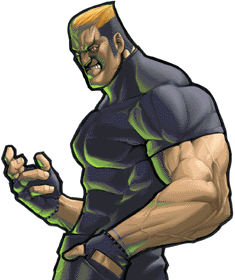 For a quick comparison, put a few rounds into Capcom's Street Fighter EX2 (released around the same time as FF: Wild Ambition) and you'll find a game that's actually playable, and looks & animates much better. 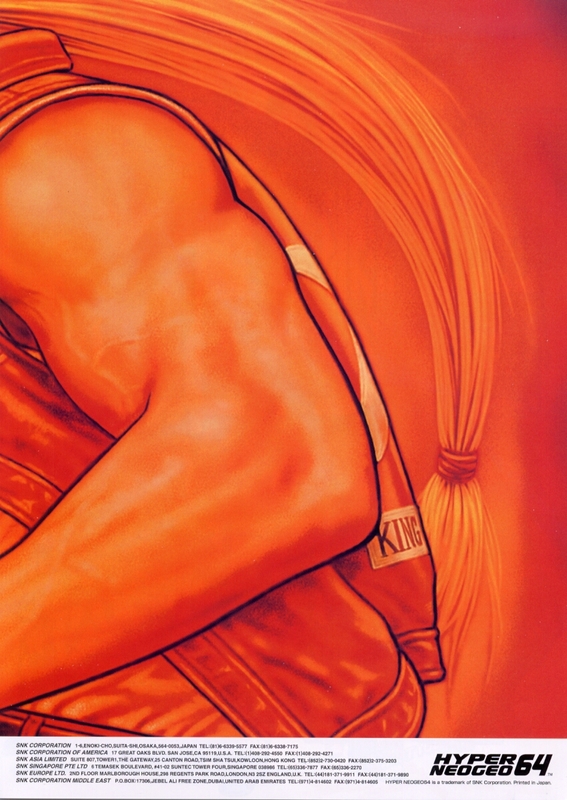 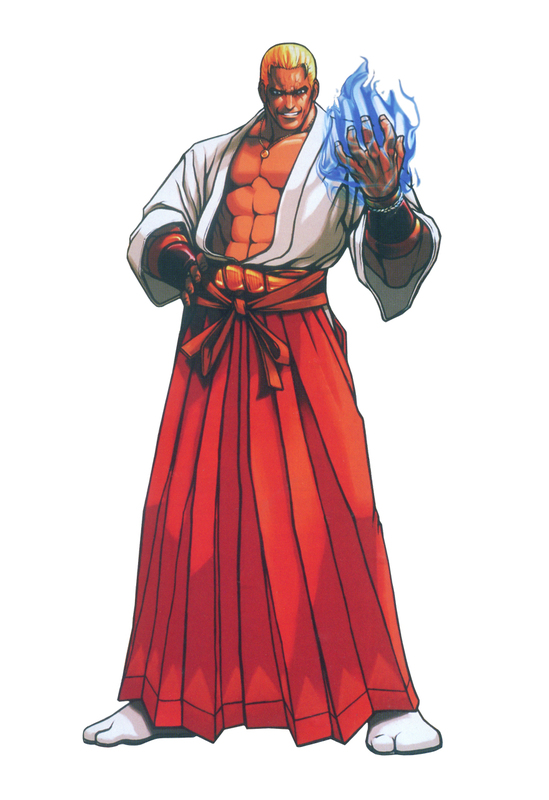 Final Words: Capcom controversially brought the Street Fighter franchise into the 3D realm a few years prior with Street Fighter EX (and barely made par). 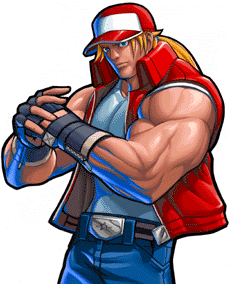 Naturally, SNK just had to "try their hand" with a 3D game to keep up with their longtime rival... but the outcome obviously wasn't a success this time around, and they were pretty late to the "3D" trend as well. 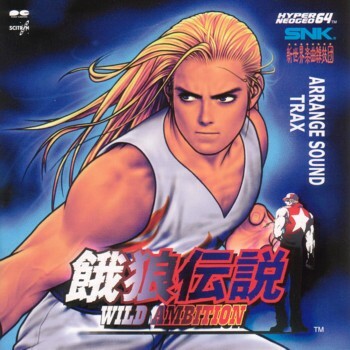 When you consider many of the other fighting games going strong in 1999, Wild Ambition looked like a "last-gen" mess of sorts.